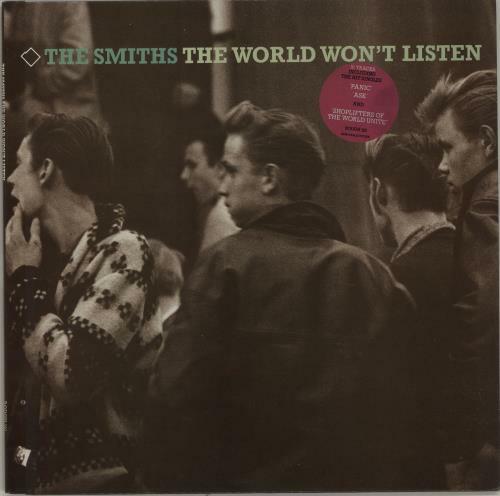 THE SMITHS The World Won't Listen (1986 UK 16-track LP, including That Joke Isn't Funny Anymore & Shoplifters Of The World Unite, complete with illustrated lyric inner & song hype stickered picture sleeve. The sleeve shows minimal wear & the vinyl looks barely played ROUGH101). or visit our The Smiths image gallery.